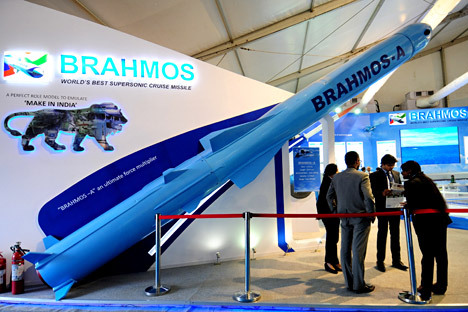 Indian Armed Forces have ordered a fourth regiment of BrahMos missiles and plan to order another two – accordingly a fifth and sixth regiment. “BrahMos has certainly made India proud to possess an advanced high technology weapon system, which no other country in the world has”, said APJ Abdul Kalam, India’s former president, speaking at an official ceremony. In the past year, a total of 62 missiles have been delivered to the army, navy and air force against the contracted – for delivery of 60 missiles, along with the delivery of ground systems to the first BrahMos Squadron of the Indian Air Force (IAF). Abdul Kalam said he was sure that BrahMos Aerospace would achieve new heights this year and, in June 2016, would begin to supply the aviation version, the BrahMos-A, to the IAF. “By the end of the year we want to order another two – accordingly a fifth and sixth regiment”, the source said.